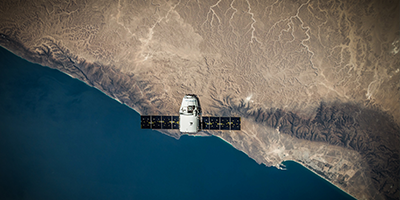 Proactive security programs allow teams to recognize and even forecast threats, instead of simply responding to incidents. Download the Analysis "Non-Terrorist Threats To The Air Traveler"
Your Personalized Global Threat Dashboard. Threat Lens brings all the most relevant global security insights into a single, interactive, threat dashboard. 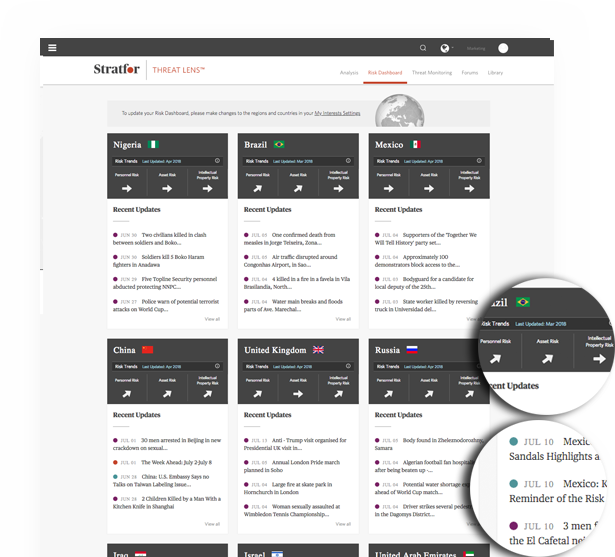 You decide which countries, topics, and content types you want to see, and Threat Lens filters out the rest. Custom settings allow you to receive alerts via email and SMS for content, regions, and events that matter most to you. A More Holistic View of the Threat Landscape. Ready Access to Security Experts. Like You. 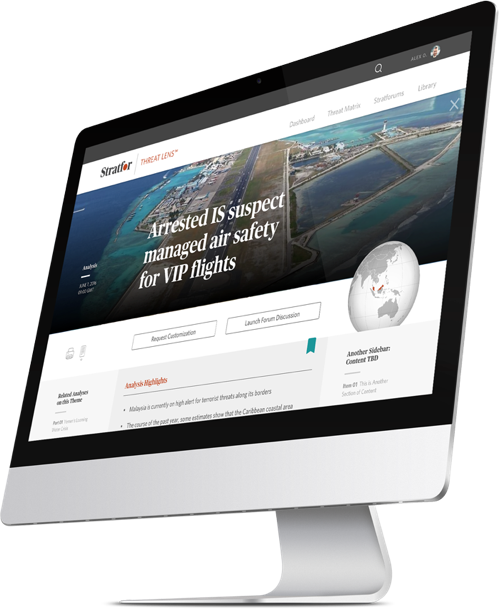 With Threat Lens, you gain direct access to Stratfor’s team of global threat analysts and security experts, so you can quickly tap deep, relevant expertise when it really matters. Threat Lens community forums empower our network of security professionals to share insights, collaborate on best practices, and build stronger relationships with peers around the world. 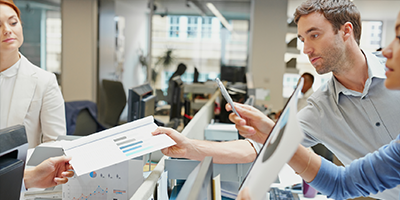 Threat Lens Forecasts Help You Prepare for the Future. 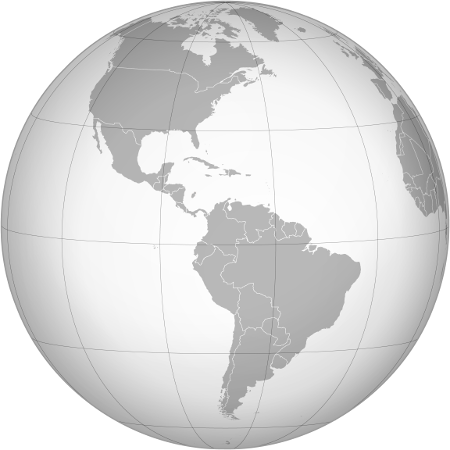 As a Threat Lens member, you receive our quarterly and annual Global Threat Forecasts, which reveal emerging threat trends, likely changes in regional threat profiles, and unfolding risks that may impact the safety and security of your employees and operations across the world. 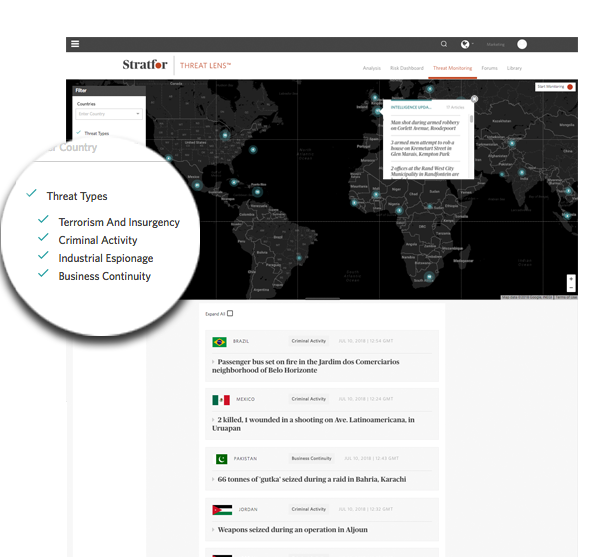 Leveraging Stratfor’s geopolitical intelligence platform, Threat Lens members also see how security threats could be impacted by shifts in power around the world. 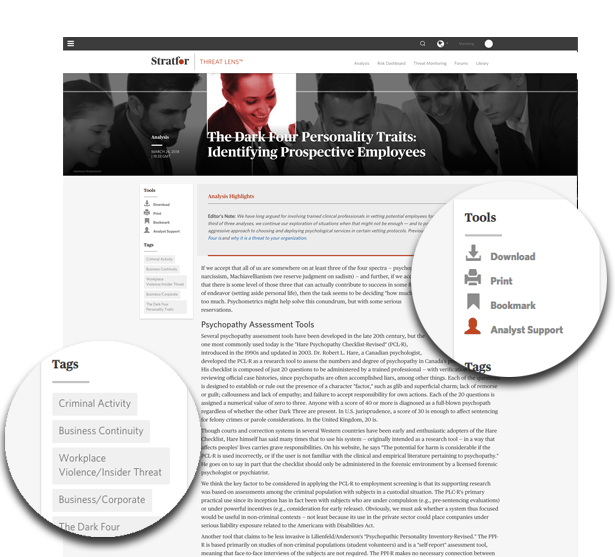 As a Threat Lens member, you gain exclusive access to a rich library of educational and tactical training content that helps you keep everyone in your organization safer. Special reports, webinars, and our substantial archive of Threat Lens tactical training videos give you the resources you need to increase your organization’s readiness for any situation. 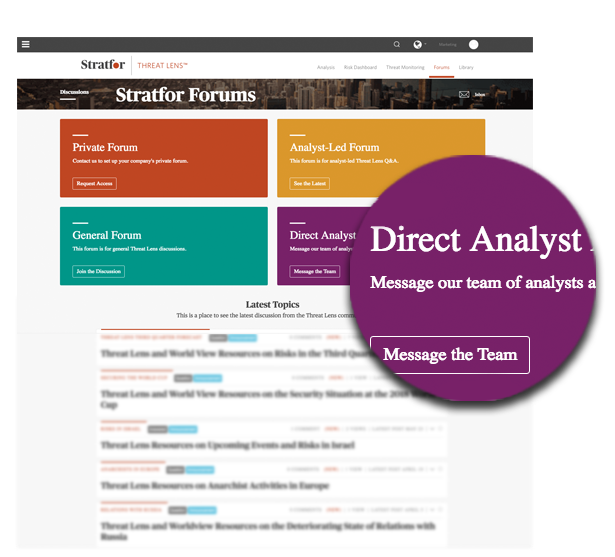 With unmatched security insights, innovative interactive technology, personalized, easy-to-consume content, and access to expert analysts and peers, Stratfor Threat Lens delivers a new and better threat monitoring experience to security leaders around the globe. 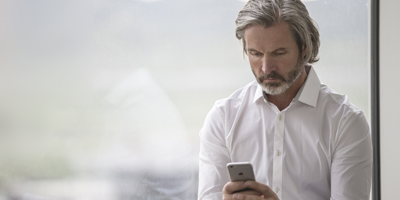 To learn how Threat Lens can take your security operations to the next level of awareness, request a sales consultation by providing us with some basic contact information.